Home Blog How Long Does It Take to Learn a New Language? 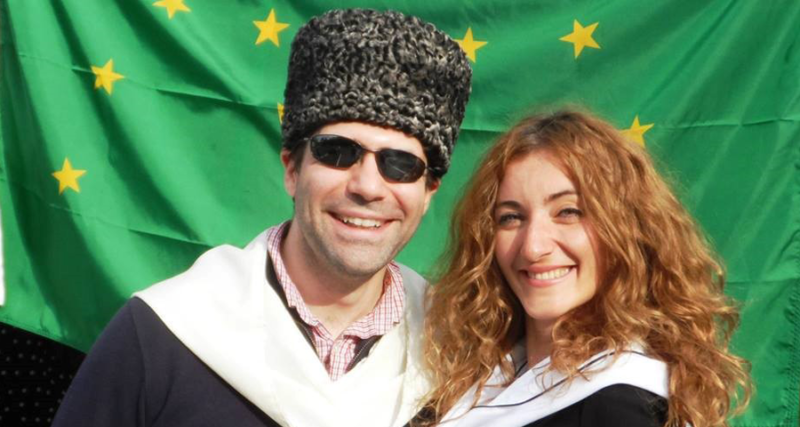 For the past decade, I’ve worked as an endangered language activist, working to preserve and promote my ethnic language, Circassian. Over that time, I’ve figured out how to dramatically reduce the amount of time it takes to learn a language, cutting it literally in half. I know I’m not the only person interested in this topic, but I’d argue I’m probably the most motivated guy in the field for one simple reason: if I failed, my language would die, and my cultural heritage would fade from existence. As a guy who’s figured out how to teach and learn languages in half the time, I’m often asked it *really* takes to learn a language. First, let’s start off with what it means to learn a language, and when we can say that the process is complete. What does it mean to “learn a language”? Asking “Have you learned a language?” is kind of like asking, “Do you live far away?” Far away from what? By what mode of transportation, and with what reference point? A 10-minute drive can easily take over an hour to walk. Of course, “it depends” probably isn’t the answer you want, so let’s see what we can do about zeroing in on a concrete, numerical answer. There are several systems that try to assign numerical values to language proficiency but, as we shall see, the numbers can be misleading. Surf around the Internet for any period of time and you’ll quickly see language learners reference skill levels such as A1 or B2, which are levels of proficiency used by the Common European Framework of Reference for Languages (CEFR). Although there are other frameworks used to evaluate how well someone speaks a foreign language, the CEFR has become the de facto standard for measuring fluency. It is one of the most popular frameworks and, as we’ll see in a minute, one of the easiest to understand. The CEFR was originally designed to describe levels of achievements of learners of foreign languages in Europe, but it’s increasingly being used in many other countries outside of Europe, including the United States. A1) Beginner: Use and understand basic phrases when speaking slowly. A2) Elementary: Understand simple expressions express immediate needs. B1) Intermediate: Understand common issues and improvise discussion. B2) Upper: Understand complex topics; engage in spontaneous speech. C1) Advanced: Express ideas fluently and spontaneously without strain. C2) Mastery: Comprehend virtually everything read or heard. In the CEFR framework, someone at the A2 level has just barely enough knowledge to get by, while someone at the C2 level is close to fluent. This still leaves us with a wide range in between, but at least we’ve begun to narrow things down. So how many hours does it take to reach specific CEFR levels of language proficiency? What we really want to know is how much time it would take a language learner to master a language. How many hours does it take to get from Level A1 to Level A2 and so on, all the way up to Level C2, the level of mastery? Interestingly enough, CEFR doesn’t do a very good job of answering this question. It’s tough to answer for one simple reason: CEFR was developed in Europe by Europeans, so it’s hard to extrapolate. Scandinavians, for example, commonly speak multiple languages, while someone from Eastern Europe would probably be able to learn a Slavic language much more quickly than someone from Western Europe, where Romance languages are more common. It’s difficult to come up with a time range that would apply to everyone, using only the CEFR. To answer the question, we have to turn to the Foreign Service Institute (FSI). This U.S. agency supports the Department of State and is tasked with teaching government workers, from diplomats to members of the armed forces, how to learn a variety of foreign languages. FSI conducted a study to find out long it took native English-speaking students to learn a new language at a “general professional proficiency” level or higher. The researchers found that acquiring language at the “general professional proficiency” level or above took about 600 hours for languages most closely related to English, and 2,200 hours for languages that were the most different. Fortunately, the results of the FSI study are actually misleading. That’s because the researchers focused on quantity, not quality – that is, on the number of hours people spent studying, not on how effectively they used those hours. The basic problem with the assumptions in the FSI study is that the subjects of the study are students who learn language in a traditional classroom setting, supplemented with textbooks. Sitting in a traditional classroom is not the best way to learn a language if your goal is to learn to communicate with native speakers in a real-world setting. The best way to do that is to practice using the language in actual conversations with fluent speakers. So where does that leave us? What specifically can you do to learn a language in less time? To answer that question, let’s consider a technique called “Spaced Repetition Systems” that we can use to dramatically improve our memories. Sadly, many people who try to learn a new language revert back to their experiences from school, but they struggle to recall the study habits they used as students. Slowly, but surely, when they find those same approaches no longer work, frustration and uncertainty set in. This is where Spaced Repetition Systems (SRS) come into play. These systems can help language learners of all ages structure the way they study to increase the amount of material they can learn and remember. To use Spaced Repetition to remember new words, you start by studying a list of words you want to learn and remember. The next day (Day 2), review the list. Mark any words you don’t know. These are the words you have forgotten since the day before. This is where Spaced Repetition starts to work its magic. On the next day (Day 3), you only study the words you couldn’t remember on Day 2. If this sounds a bit like flash cards, there’s a reason for that; flash cards were one of the earliest implementations of Spaced Repetition Systems. While the systems have evolved over time, but basic premise is as old as the human brain. With SRS, each time a new memory begins to fade, you re-energize it by refreshing your memory and strengthening it. SRS lets you focus your efforts on memorizing the words that are the most difficult for you to remember, rather than wasting time where it is not needed. A Spaced Repetition System is like High Intensity Interval Training (HIIT) for your brain in that it dramatically increases efficiency by getting rid of everything that uses up time without improving results. Ok, I get this SRS thing, but what’s High Intensity Interval Training (HIIT), and how is it related to SRS? For years, conventional wisdom held that the average person needed 30 minutes of exercise per day, five days per week, for a total of 2.5 hours of exercise per week. At the time, many people were skeptical. Do you know what kind of people were *not* skeptical? Scientists… because they understood the data. The old metric of 30 minutes was based on quantity of time, and as demonstrated by the wide variance in the definition of “exercise,” quality didn’t seem to be a huge variable. This may be a bit of a leap, but since the human brain is an organ, it stands to reason that by focusing on quality rather than quantity – that is, by using an optimized learning process rather than counting the number of hours spent staring at textbooks – it’s possible to achieve similar results with the right system. Fortunately, OptiLingo’s Guided Immersion is just that system. With Guided Immersion, you focus on studying the material that will help you master a language most quickly and efficiently – high-frequency words, common phrases and language used in everyday situations. This is key to maximizing your language-learning speed. I believe you’ll learn to love Guided Immersion as much as I do. It’s what helped me to learn one of the most complicated languages on the planet. in less than half the time when compared to alternative methods. Guided Immersion is the most efficient way to learn a new language, and you’ll be learning and speaking with your very first lesson. Sound too good to be true? It’s not. It’s just what happens when you use a system focusing on quality rather than quantity. That’s the magic of Guided Immersion.